A recent study conducted by Google and Millward Brown Digital revealed that 70 percent of all B2B buyers are doing research online before purchasing. 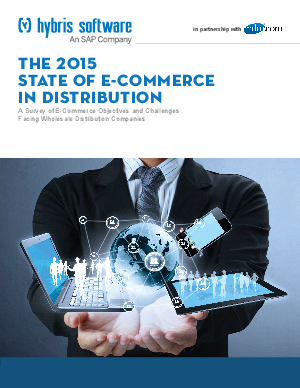 But distributors have been slow to adapt, and they don’t expect much growth with their e-commerce presence in 2015, with 42 percent of respondents expecting e-commerce sales to comprise none or less than 5 percent of their total sales, and 26 percent expecting it to comprise 5-10 percent of total sales. Wholesaler-distributors remain underwhelmed by the effectiveness of search marketing, with just 24 of respondents saying it is effective and 23 percent saying it is somewhat ineffective. They also view e-commerce as a way to promote their brand as much as they view it as a way to increase new customers and orders, with 20 percent of respondents listing each of those as their highest e-commerce priorities in 2015.